From Pittsburgh to Buffalo, tales of growing up in a Rust Belt City have a similar thread of experience. 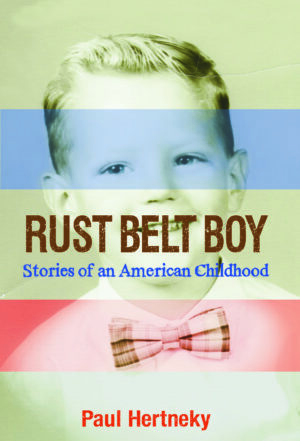 The Larkin Square Author Series is pleased to welcome author Paul Hertneky to speak about his new book, Rust Belt Boy on Wednesday, September 21st at 5:30 pm. Paul’s book shares the experiences of one immigrant grandchild who became an emigrant himself, and in so doing tells the story of a generation. Along with the immigrant experience, the book touches on the joys and tribulations of industrial small town life—its foods, cultures, families, workers, bosses and politicos. 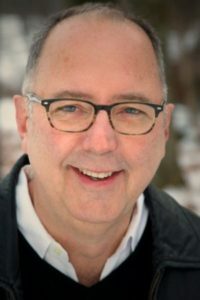 Over twenty-five years, Paul Hertneky has written stories, essays, and scripts for the Los Angeles Times, Boston Globe, Pittsburgh Post-Gazette, NBC News, The Comedy Channel, Gourmet, Eating Well, Traveler’s Tales, The Exquisite Corpse, National Public Radio, Public Radio International, Adbusters, and many more. His work centers on culture, food, industry, the environment, and travel, winning him a Solas Award, and two James Beard Award nominations. A graduate of the Bennington Writing Seminars, he serves on the faculty of Chatham University. The Larkin Square Author Series is presented by Key Bank and sponsored by Independent Health. The event is co-sponsored by Talking Leaves books, who will be selling copies of Rust Belt Boy at the event. Beer, wine, and light fare will be available for purchase. Q and A and book signing to follow the talk.